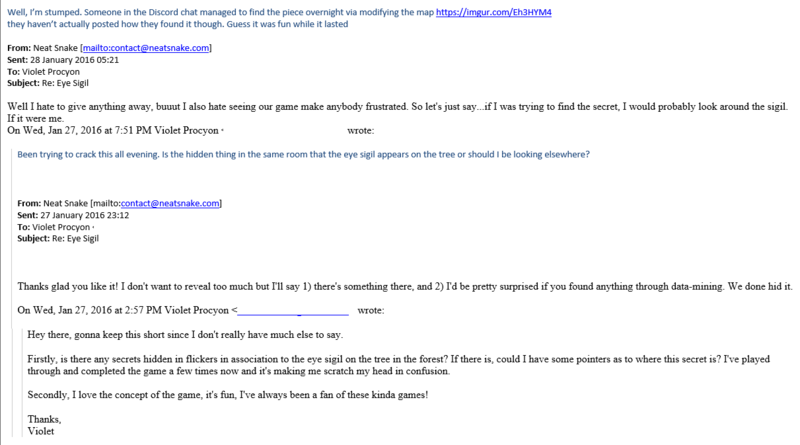 At several stages of the community's attempts to unravel the ARG, emails and tweets were exchanged with developers of different games, in hopes that they might reveal a clue or provide a hint. An archive of these exchanges can be found here. Found something missing from this page? Use this form to submit information to the editors for review. This page was last edited on 13 October 2016, at 18:46.